Today, English language learners at the Manchester Adult Learning Center in New Hampshire celebrated their year of study with a culture fair. 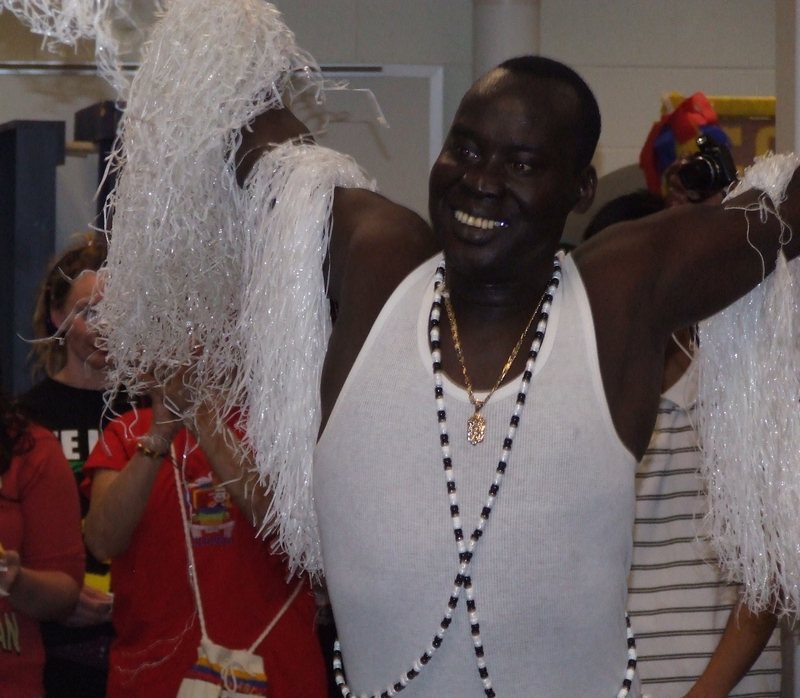 I want to begin with a young father, a member of South Sudan’s Dinka tribe, who performed a traditional dance of the Dinkas at this fair of world music and dance. I learned so much this past semester working with master teacher Judith Lamont here at Manchester Adult Ed in a class to support students as readers. Wonderful –if I were not in Canada I would be there!